The government on 12 June said a committee will identify "gaps in basic facilities" of roads, power, telecommunications, health and education in areas along the India-Myanmar border and submit a detailed report to the Union Home Ministry by 31 December. 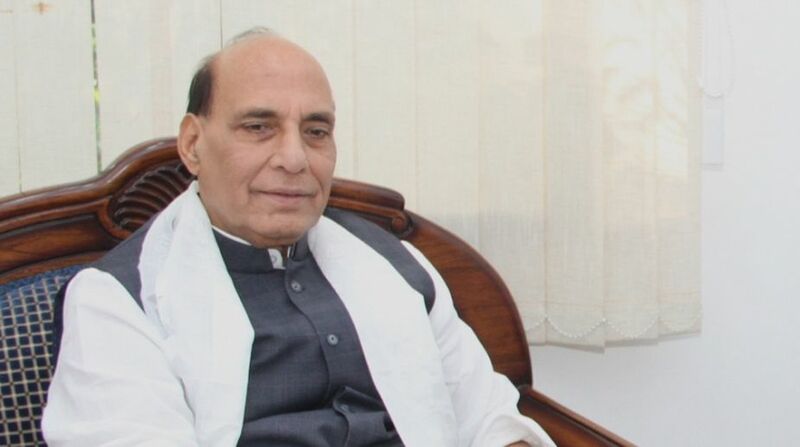 The committee under the chairmanship of Secretary (Border Management) will prioritise the filling of these gaps in the short term (three years), medium term (three to six years) and long term (six to 10 years)," Union Home Minister Rajnath Singh said. He was presiding over a meeting with Chief Ministers/their representatives of four states that share the country's borders with Myanmar. Besides Rajnath Singh's deputy Kiren Rijiju, Chief Ministers of Arunachal Pradesh (Pema Khandu), Manipur (N. Biren Singh) and Mizoram (Lal Thanhawla), Nagaland Chief Minister Shurhozelie Liezietsu's representative and state Home Minister Yanthungo Patton, Chief Secretaries, Directors General of Police, Director General of the Assam Rifles, and senior state civil and police officials attended the meeting. 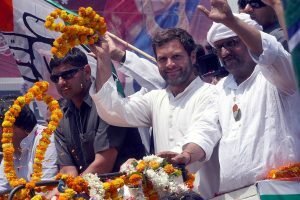 The committee has also been tasked to find out and pool all resources and dovetail all programmes of central government ministries, including those of the North-Eastern Council, Non-Lapsable Central Pool of Resources, Border Area Development Programme, and those of respective state governments for achieving these objectives, a Home Ministry statement said. The second committee headed by the Home Ministry's Special Secretary (Internal Security) will be set up to examine rules and regulations adopted by these four states for a free movement regime and give its report within three months. Rajnath Singh also advised the state governments to pay special attention to the urgent need of improving basic facilities and infrastructure for those living in remote areas on the border in their respective states. The Minister stressed on greater connectivity within the region, saying that improved connectivity and relations with Myanmar are opening new opportunities of growth for this region. He said the India-Myanmar border region will play a much greater role in the near future and therefore the Centre and the states concerned must be adequately prepared for it. The Home Minister said the north-east will have a string of modern cities under the Smart City project. Rajnath Singh said that although India's 1,643 km border with Myanmar — touching Arunachal Pradesh, Nagaland, Manipur, and Mizoram — is peaceful and friendly, it is very sensitive as well. "It helps genuine people but is misused by militants and criminals to smuggle in weapons, narcotics, contraband goods, and Fake Indian Currency Notes." Rajnath Singh ordered chalking out of a standard operating procedure common to all the four border states to filter out such criminals without inconvenience to bona fide persons and decided to constitute a committee headed by the Home Ministry's Special Secretary (Internal Security) on the matter. "The committee will examine the present rules and regulations adopted by the four states for implementation of free movement regime and give report for uniform and effective implementation within three months," he said. The Minister urged the Chief Ministers to pay special attention to the local issues of border guarding forces to boost their morale and improve their efficiency. He advised them to extend cooperation in the survey work for erection, and construction of subsidiary pillars on the border for removing difference of perception on zero line and for understanding the boundary demarcation clearly. The Minister directed that whatever construction work is required near the border, may be done, leaving 'No Construction Zone', and solicited cooperation of the Chief Ministers and local population for joint survey of border pillars on the India-Myanmar boundary. He urged the Chief Ministers to bring border area villages under active policing by opening police stations/posts to re-assure people and prevent illegal cross-border activities.